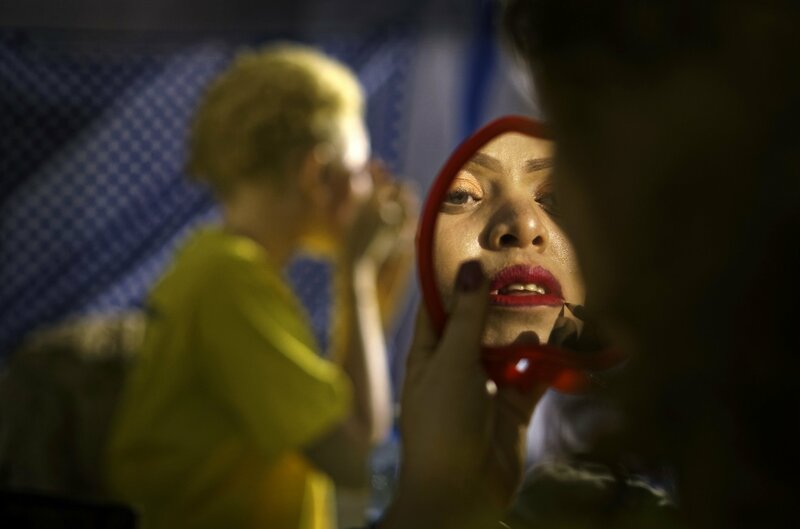 NAIROBI, Kenya (AP) – A groundbreaking beauty contest for people with albinism has boosted the trust and inclusion of people who are still the target of a sometimes deadly stigma in Africa. On Friday night in Kenya's capital, participants also turned up Tanzania and Uganda. Elizabeth James from Tanzania said that as a child she was forced to change school when people were staring and pointing when they went home. She called for an end to the ignorance that causes some to kill people with albinism for their body parts, or even to dig graves out of the misguided belief that they would bring wealth and happiness. "The threat has been greatly reduced, but it is still there," she said. The organizer of the event, Isaac Mwaura, Kenya's first lawmaker for albinos, called the contest a way to build self-esteem. "People with albinism are people like everyone else, and of course we're beautiful, too," he said. Video Associate Joe Mwihia of Associated Press contributed.